Tarragona 2018, the organisation behind the Mediterranean Games, has defended the ‘success’ of the event with a ‘massive’ record participation of 3,600 athletes. It has not stated, however, an exact figure for the number of spectators present. Half-empty stands and deserted esplanades became the norm as this year’s edition of the sporting event got underway. Despite this, at a press conference the organisers said that after originally offering 161,000 tickets on sale, they increased the number to 190,000. They did not say how many tickets have been sold, but estimated that attendance has gone from ‘less to more’ and exceeds the average of the Mediterranean Games. Indeed, the president of the International Committee of the Games, Amar Addadi, has stated that they consider the event to be a success, despite “annoyances” such as its postponent by one year. The organisation has done “the best it can with the available means,” he said. But the event, usually held every four years at different Mediterranean cities, has been marred by a series of unfortunate mishaps. French athletes singing their national anthem a capella when the music didn’t work, swimmer Mireia Belmonte handing out medals at the award ceremony when officials didn’t turn up, and the postponement of a basketball game due to pitch problems, were just some of the issues that arose during the Games. 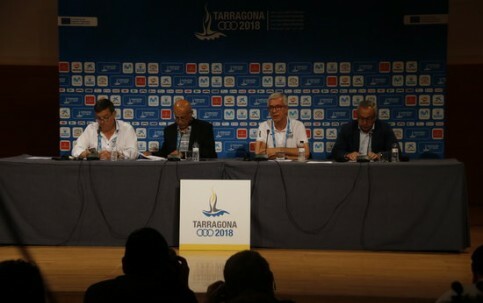 The mayor of Tarragona, Josep Fèlix Ballesteros, affirmed that despite initial complications in the first third of the competition, everything was solved as the days passed. Regarding the low presence of public at some of the events, Ballesteros stated that the number of spectators had gone from “less to more.” He highlighted the size of Tarragona itself, which has 136,000 inhabitants. It would be unfair to compare it with previous host cities such as Mersin in Turkey, which has almost one million inhabitants. “I think they are making too much out of this story,” he said.